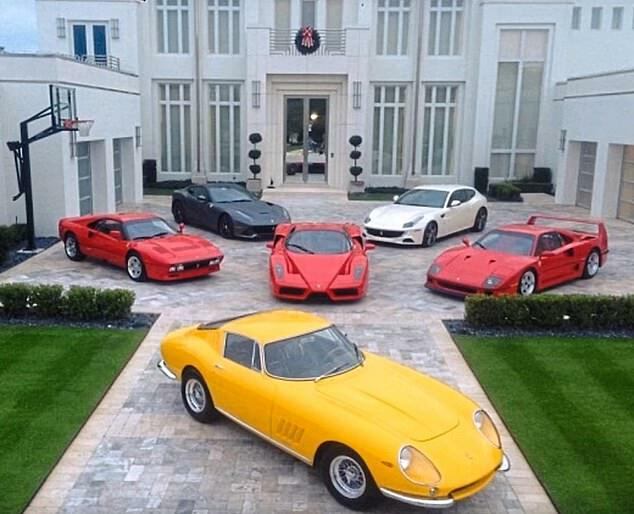 12 Ferraris in the front room of your Florida mansion… so where did it all go wrong, Ian? Ian Poulter opened the door of his house in Lake Nona 10 days ago and ushered me into his front room. It is not like many other front rooms, mainly because there are a dozen Ferraris sitting in it. And 65 golf bags from the Major championships, Ryder Cups and leading tournaments he has played. And letters on the wall from Arnold Palmer and Gary Player. The Ferraris are his passion. They are also a symbol of quite how far he has come since he was a kid growing up in a struggling area of Stevenage, running a clothes stall in the market to fund his golf. There were times in the past few years when it was tempting to think of Poulter as a museum piece, too. The memories of his Ryder Cup glories at Medinah and the sartorial adventures of his prime had begun to fade, he had just turned 40 and struggles with injury saw his world ranking plummet. Some began to wonder whether he might even be contemplating retirement. Those thoughts had been dispelled long before he found himself at the top of the leaderboard midway through the second day of the US Masters last week and playing with Tiger Woods in one of the leading groups on Saturday. For one afternoon in Augusta, it really was just him and Tiger. 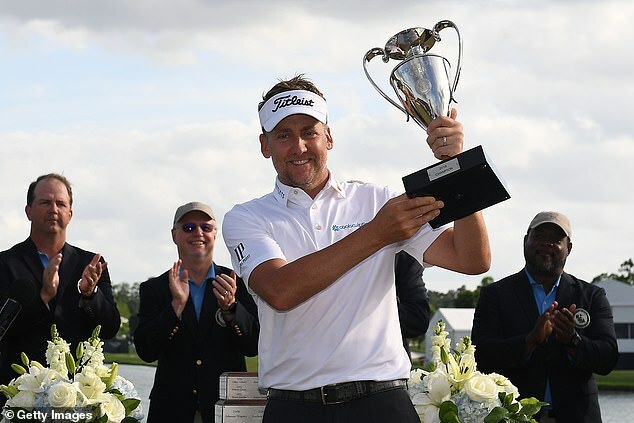 Poulter is as irrepressible as ever and it was evident as he sat surrounded by his memorabilia in Orlando that he has become a study of a sportsman at peace with himself in the autumn of his career. ‘I feel pretty content that I have done a damn good job from where I came from,’ he said. He is 43 now and life is coming at him fast. He is a father of four kids who are growing up quickly. His eldest daughter, Aimee, 17, is preparing to go to college in the States and his elder son, Luke, 14, wants to be a professional golfer. Poulter is curious about whether a privileged childhood in a gated community will have robbed his boy of the desire his dad always possessed. 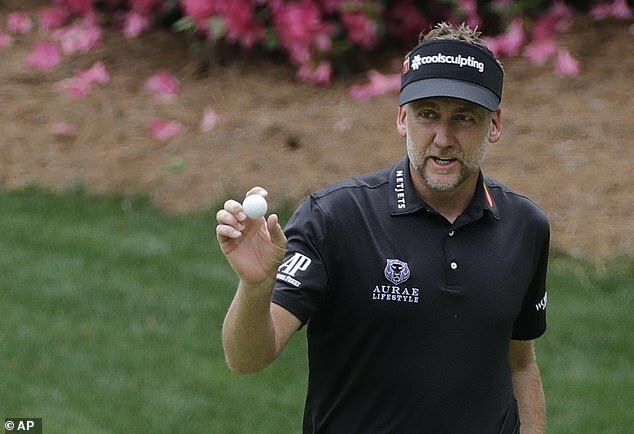 ‘When you grow up without stuff and then you get older and have some success, you enjoy the nice things in life because you didn’t as a kid,’ said Poulter. ‘You want your kids to enjoy the nice things you never had. You spoil them but you have also got to somehow keep their feet on the ground about what is real and what is not real. ‘Living within these gates is not real but it’s hard because you want your kids driving a nice car; you want them with the things you could never have. 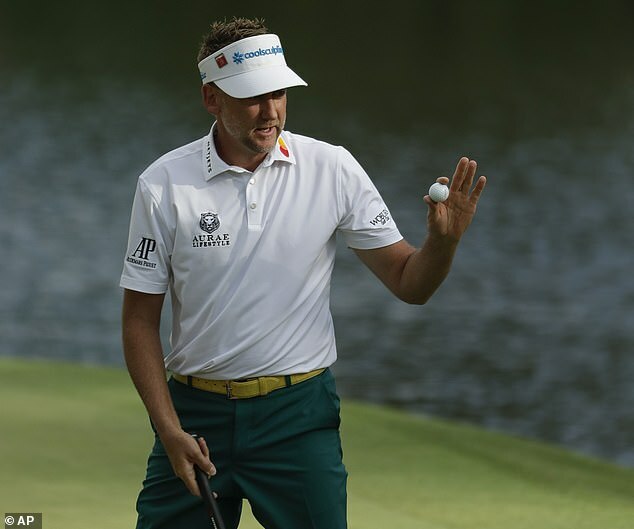 Poulter’s happiness at home is mirrored by the contentment he feels about his career. He is not a man haunted by regret. He is not tortured by the memory of near misses. His career also asks questions about the criteria we apply to greatness in golf. Some feel it is dependent on winning a major, something that has eluded him so far. 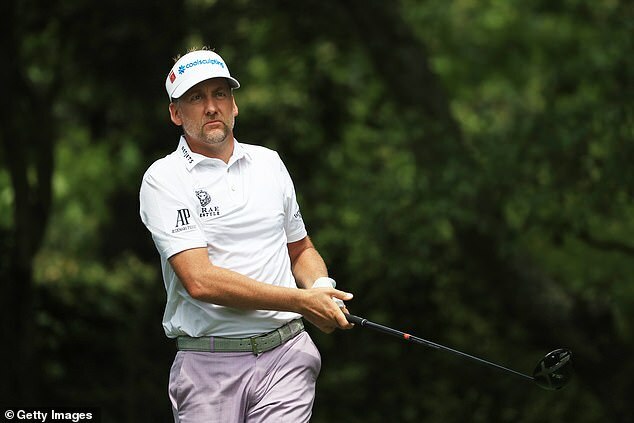 But Poulter, who has a second and a third at the Open to his name, has achieved so much in the Ryder Cup and has sustained a career at the top for so long against the odds that he has earned more affection than many of his more decorated opponents. His recovery began when he finished second at the Players’ Championship in 2017, then won for the first time in six years at the Houston Open last year, made the European Ryder Cup team that was victorious in Paris last September and started this season with four top-six finishes. Next year will mark his 20th year on the European Tour. He is, he said, as hungry for success as ever. If his career comes to be defined by his Ryder Cup heroics, he can live with that. He would still love to win a major and is still working towards winning one but he does not feel his career would be incomplete if it eludes him. ‘It’s not the be-all and end-all,’ he said. ‘I want to win one but I don’t have to win one. His tilt at the Masters brought that dream back to life this week. I followed his group around Augusta on Thursday and he played beautifully. The galleries had swelled considerably on Friday as he sustained his challenge. At the sport’s most prestigious tournament, he was a contender again. ‘Look, I never thought I was going to enter a steady decline and just leave,’ said Poulter. ‘That’s not me and it’s not my nature and it’s not who I am. I am fit enough and strong enough to keep going for a good chunk of time yet. ‘I still think there’s more to do. I do think I can win a major and I do think I can move up in the world rankings again. I do think I can get back in the top 20 and I do think I can get back in the top 10. 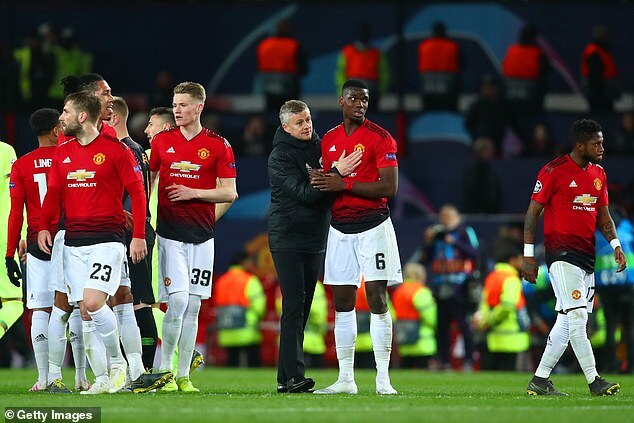 Manchester United’s defeat by Barcelona on Wednesday night was a sobering example of just how far the powers that be at Old Trafford have allowed the club to fall behind their greatest European rivals. Ole Gunnar Solskjaer has inherited such an unbalanced squad he must have felt like a man running into a firefight with a frying pan for a weapon. United’s investment under Jose Mourinho, in particular, was so woeful that they look as if they are two or three years behind Barcelona, Juventus, Liverpool and Manchester City — and that’s even if Solskjaer buys well and expansively and is allowed to plug the gaps this summer. Tommy Smith, the formidable Liverpool defender who died on Friday, had an uncompromising reputation as one of football’s hard men. The first time I went to Anfield as a reporter, I looked around the press box and saw a solitary spare seat at the end of a row. I sat in it and settled down, barely noticing the knowing smiles from some of my more experienced colleagues. A few minutes later I became aware of a presence looming over me. I looked up to see the Anfield Iron, who had become a columnist for the Liverpool Echo, standing there.‘That’s my seat,’ he growled. I have rarely moved so fast, before or since. Next articleGoogle a lancé son service de livraison par drones !